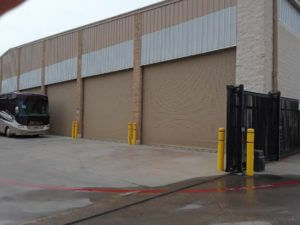 Trust Reliant Overhead for your commercial overhead door (commercial garage door repair) needs. We have proven experience with and understand commercial grade applications ranging from large warehouses to single door steel buildings. A non-functioning commercial garage door or warehouse garage door can mean significant loss of productivity and revenue for any business. Call Reliant Overhead for commercial garage door repair and get your warehouse garage door back on track and properly adjusted for long-term commercial use. These overhead doors come in sectional panels and roll up on steel tracks. These doors frequently get damaged by vehicles and forklifts. Damaged panels can be repaired and reinforced with Steel Struts and new brackets/hinges. Reliant Overhead can also order and install new door panel sections to match your current installation. Damaged track can be repaired/replaced as well. 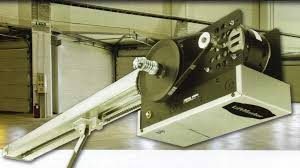 Sectional warehouse garage doors are lifted by high tension torsion springs. These springs are custom fit for the size, type and weight of the overhead door. We can obtain and install custom-cut springs the same day in most cases. Very large spring sizes may take one business day to replace. 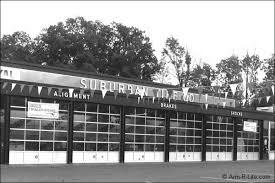 These doors are often called Curtain Doors, Sheet Doors, and RollUp garage doors. 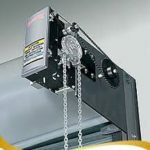 We repair all sizes and brands of commercial roll up doors with automatic and manual chain hoists. 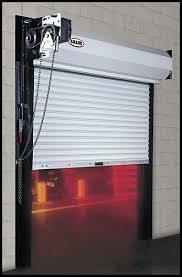 If your commercial rollup doors are bent and sticking, hard to raise and close, or won't lift at all give us a call. Repair services include spring tensioning, track alignment, slat replacement/repair, opener repair, etc. Same-Day service available. We service many brands and types of commercial grade operators including Liftmaster, Raynor, Linear, Genie, and Overhead Door Hoist, Trolley, and JackShaft. Ask about our Annual Maintenance Service Contracts where Reliant Overhead will inspect, lubricate, and calibrate your commercial overhead door throughout the year to ensure ongoing reliable and safe operation. 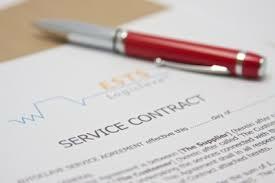 We'll also provide up-front fixed discounted pricing for any repairs required during the maintenance contract period.